Q&A: How can I retrieve my Windows Vista Product Key? Question from Michael C.: I have a 4 year old HP Desktop PC running Windows Vista and it has gotten slower and slower in recent months. It’s so slow now that I think I really need to start fresh and re-install Vista. I have the Windows installation discs, but since I can’t find the case they came in I don’t have a clue what the Product Key is. I know I can find the Windows Product Key somewhere in the Registry, but I can’t seem to find it. Where do I look? Thanks in advance for your help. Q&A: How do I create a Desktop shortcut to Windows Update? Question from Karen P.: I read an article a while back on Computer Security and it recommended checking in with Windows Update every day to see if any new updates are available. I’ve started doing that but it’s a pain clicking through the menus every time. Can I create a Desktop shortcut that’ll take me directly to the Windows Update utility? Rick’s answer: Karen, I agree that keeping our PCs updated at all times is extremely important, but I don’t really see the need to check for new updates every day because Microsoft is pretty good at pushing critical updates to users in a timely fashion. Q&A: How can I force photos to open in a new Internet Explorer window? Question from Anita: Rick, I use Internet Explorer 9 on a laptop running Windows 7 (I know, everyone tells me I need to use Chrome, but I like I.E.). I like having my photos open in I.E. when I click on them but I hate it when they open in a window that’s already open and replace the web page that’s already there. I hope you can tell me how to make my photos always open in a brand new window when I click on them? 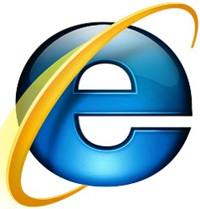 Question from Tina F.: Rick, I recently bought a new laptop for my 12 year old son and it came with Windows 8 and Internet Explorer 10. I won’t go into the reason why, but I would really like to uninstall I.E. from the computer in order to force him to use either Firefox or Chrome. The problem is I can’t seem to find Internet Explorer listed on the Remove Programs list in the Control Panel. How do I delete it?